Published in 1721 by the prominent Puritan clergyman Cotton Mather, The Christian Philosopher was the first comprehensive book on science to be written by an American. Building on natural theology, Mather demonstrated the harmony between religion and the new science associated with Sir Isaac Newton. His survey of all the known sciences from astronomy and physics to human anatomy presented evidence that both celestial and terrestrial phenomema imply an intelligent designer. 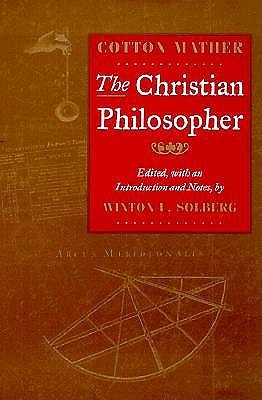 Winton Solberg's introduction places Mather's treatise in its widest historical context. In addition to tracing the origins and sources of Mather's work, Solberg analyzes the book's contents, its reception, and its significance in American intellectual and cultural history. This edition affirms Mather's importance to American thought as a deeply religious intellectual who introduced the Enlightenment to America.